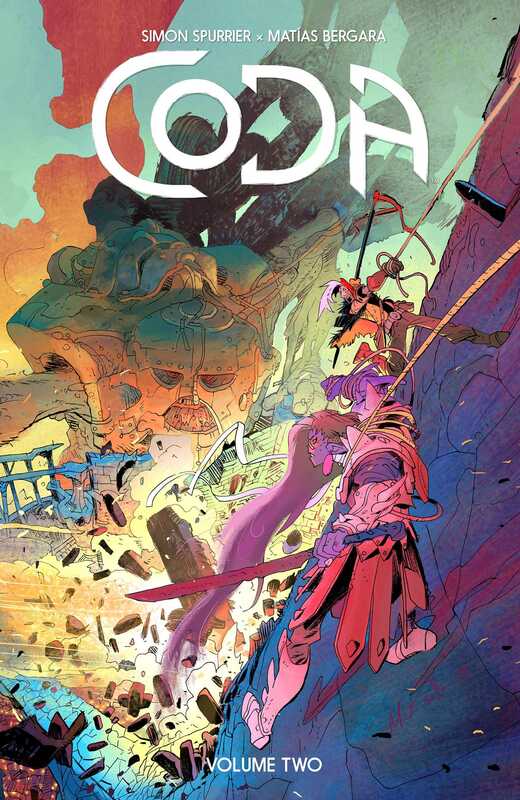 A broken fantasy that’s equal parts Lord of the Rings and Mad Max, Coda is the next original series by Eisner-nominated creator Simon Spurrier (The Spire, Six-Gun Gorilla). Magic was once plentiful and prosperous across the realm—but ever since the Quench brought the world to its knees, magic has become the rarest of resources. Bandits strive for it. Knights die for it. And one antisocial former bard named Hum will ride his mutant unicorn to the ends of the earth for just a drop of it...as magic is the one thing that will save the soul of his wife. Written by Eisner Award-nominated author Simon Spurrier (Sandman Universe, The Spire) and lavishly illustrated by artist Matías Bergara (Supergirl, Cannibal), Coda Volume Two continues the critically-acclaimed dystopian fantasy series that explores the relentless hangover of life in the aftermath of apocalypse.